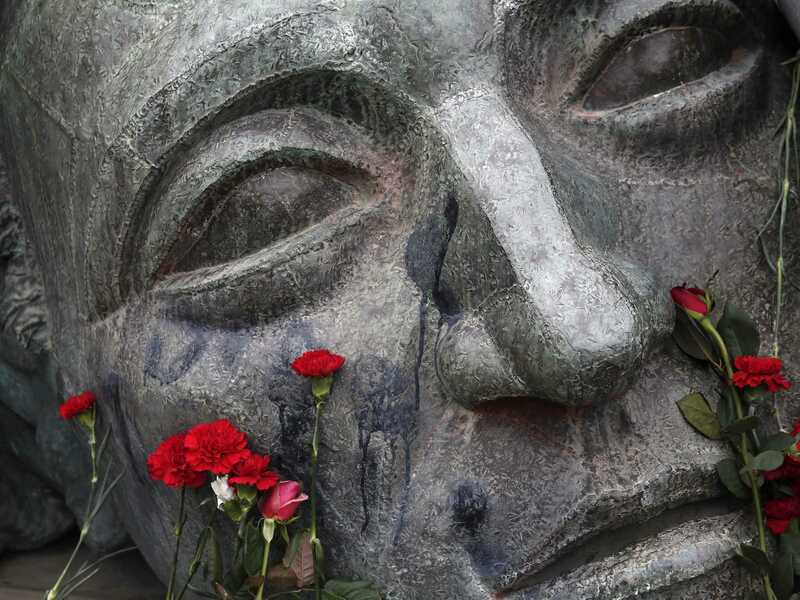 REUTERS/Yorgos KarahalisFlowers are placed on a monument inside the Athens’ Polytechnic school, on the eve of the 41st anniversary of a 1973 student uprising against the then military ruling junta in Athens November 16, 2014. Last week was pretty light on economic data. Still, the stock market quietly climbed to new record highs. This week is loaded with reports on manufacturing, housing, and inflation. Importantly, we’ll get the minutes of the October Federal Open Market Committee (FOMC) meeting, the meeting that marked the end of quantitative easing. Many Fed-watchers thought the Fed sounded a bit hawkish, especially with regards to its language on the improving US labour market. Maybe we’ll get some clarity this week. FOMC Minutes (Wed): At 2:00 p.m. ET, the Federal Reserve will publish the minutes of its Oct. 28-29 Federal Open Market Committee meeting. Initial Jobless Claims (Thurs): Economists estimate the pace of weekly claims climbed to 284,000 from 290,000 a week ago. Philadelphia Fed Business Outlook (Thurs): Economists estimate this regional activity index fell to 18.5 in November from 20.7 in October. “The shipments and employment components softened last month while new orders remained strong; in our view, these trends are consistent with continued manufacturing expansion in Q4, though at a more moderate pace than in recent quarters,” Barclays economists said. Once again, the S&P 500 closed the week at an all-time high. Of the Wall Street strategists followed by Business Insider, only one predicted that we could see the S&P at the 2,039 level we’re seeing today. That person: ex-JP Morgan strategist Tom Lee. On September 15 in his inaugural report for his new firm Fundstrat Global Advisors, Lee predicted the S&P would hit 2,100 by year end.